Post updated 29 September 2017. 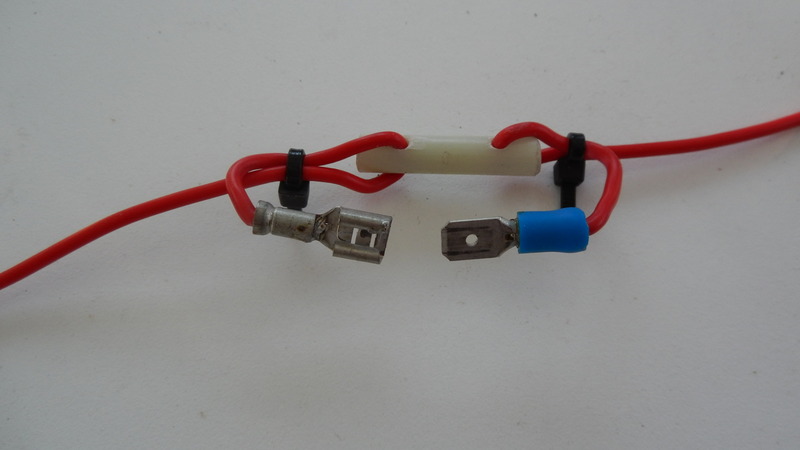 I have inserted two additional links for coverage on 17m and 30m. 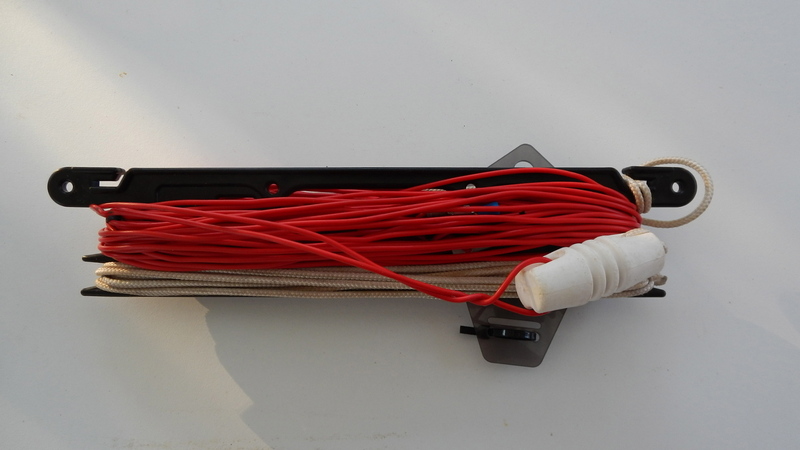 I have changed the counterpoise wire from 1.5 metres to 6.8 metres long. 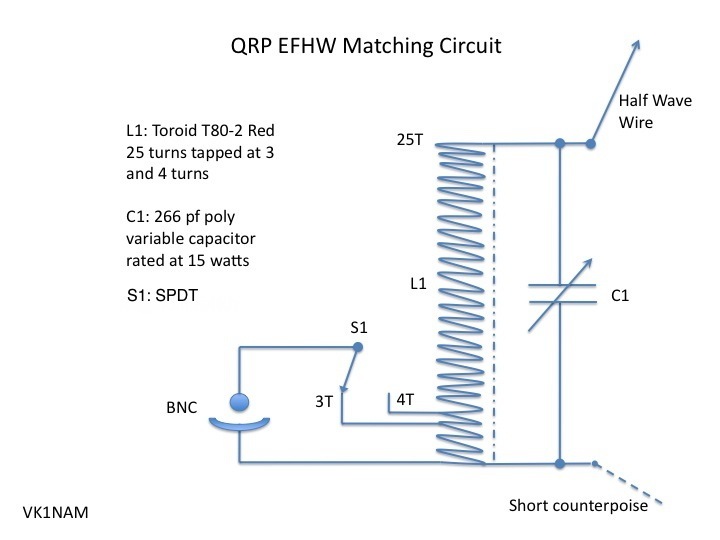 My take on a QRP HF EFHW inverted V antenna designed for use on five amateur radio bands 15m, 17m, 20m, 30m and 40m. From the feed point the total length is 20.1 metres (65.94 feet). 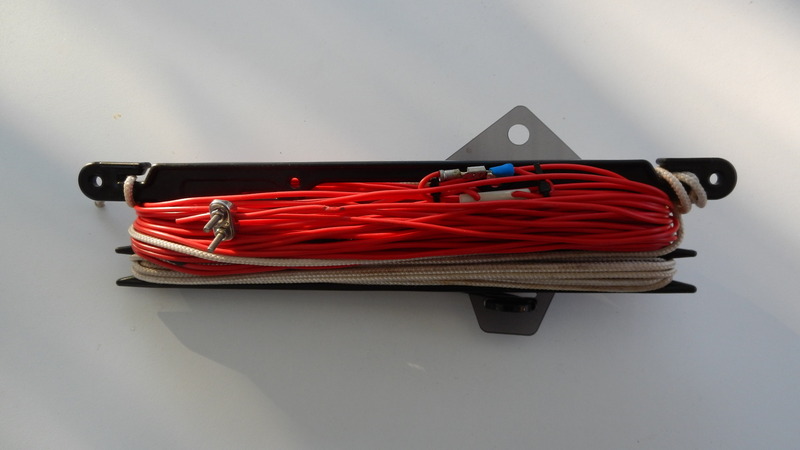 Links are inserted at 6.69 metres (21 MHz), 7.85 metres (18 MHz), 10.05 metres (14 MHz) and 14.06 metres (10 MHz). 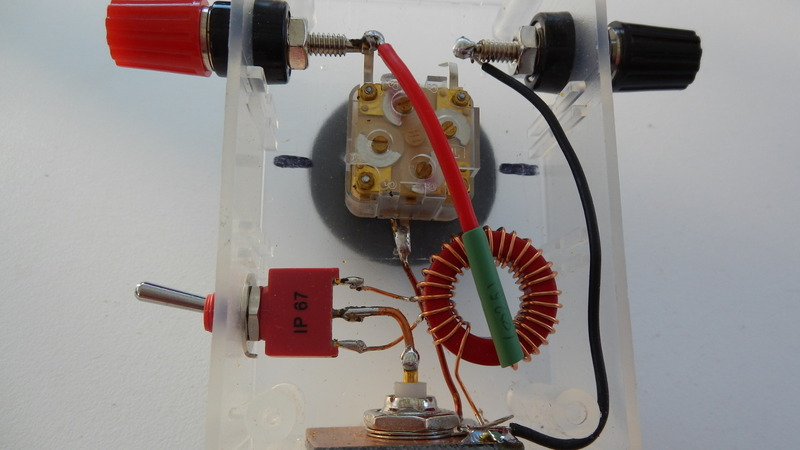 For operation on 7 MHz close all links. The counterpoise wire is 6.8 metres long. 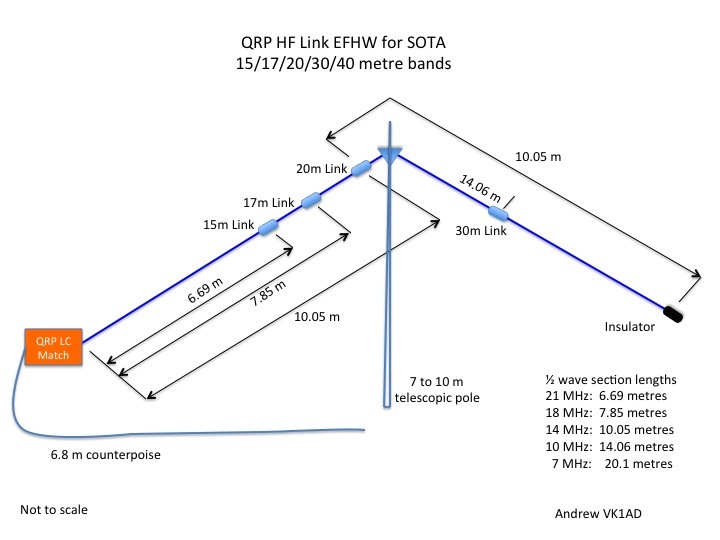 The coax feedline between the EFHW tuner and the radio is 2 metres long. 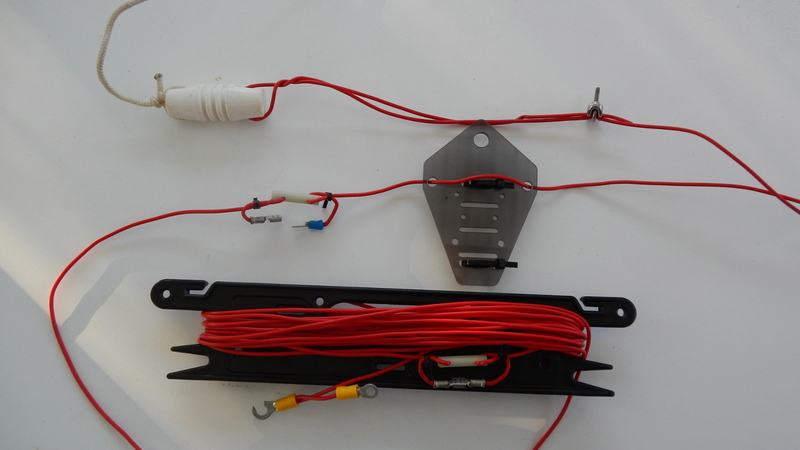 EFHW antenna 15/17/20/30/40m and winder. 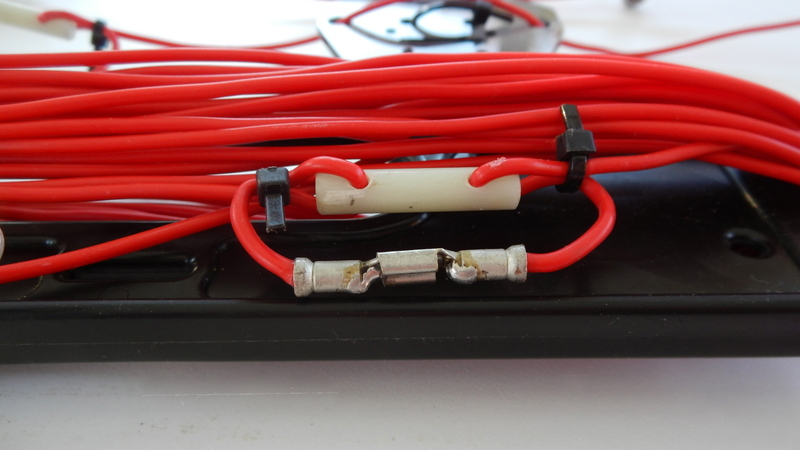 Coax feed line between the impedance matching unit and the radio is a 2 metre length of RG58AU. 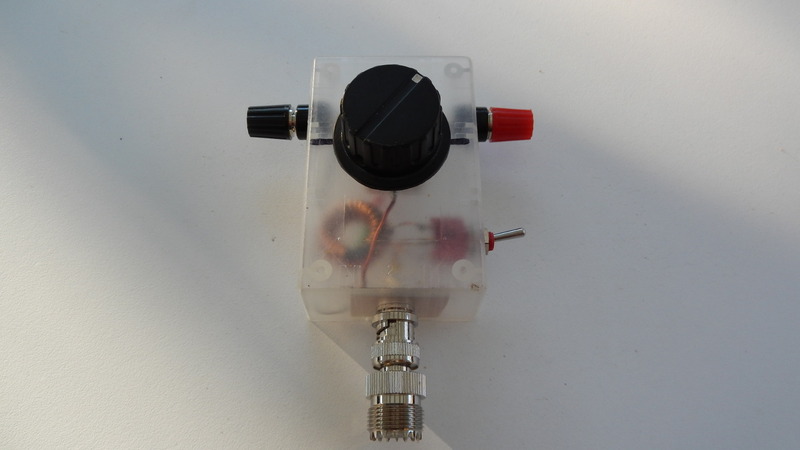 The EFHW antenna is a popular choice among VK SOTA activators. First Published: 14 August 2014 Last Update: 29 September 2017. I like this. What is the switch for? What is its function? 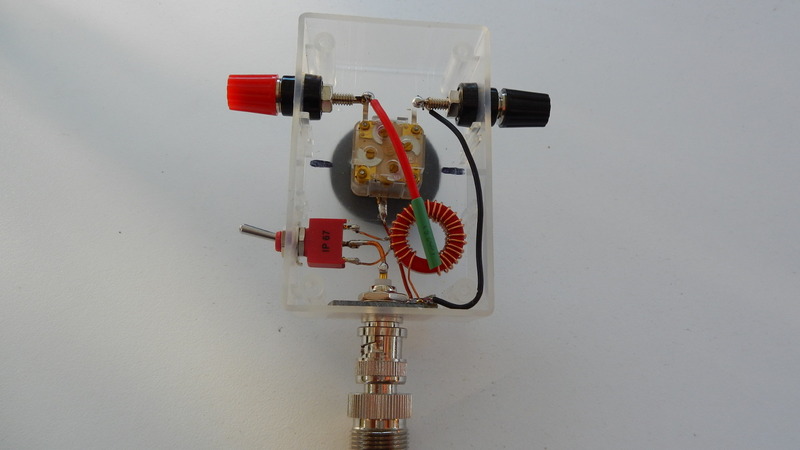 To select a different turns ratio or impedance ratio. Thanks? 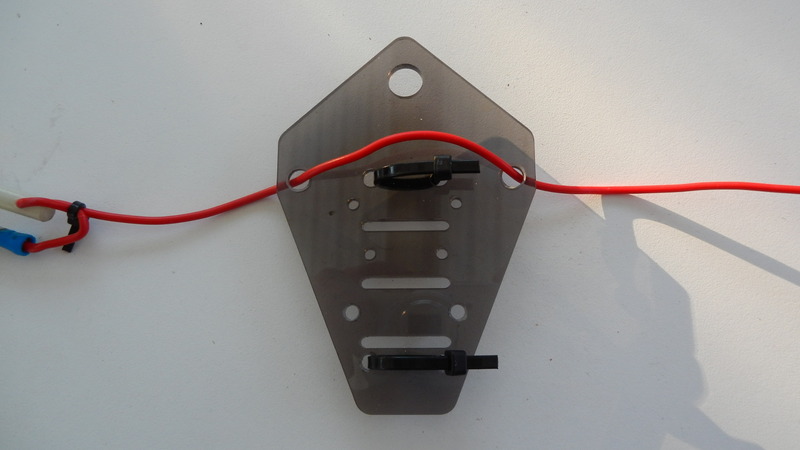 Also, do you know if I can use this without the variable capacitor assuming I trim the antenna wire for low swr? Isn’t S1 actual SPDT (rather than SPST, as indicated in the chart above)? Yes, good observation. Thanks, I shall fix the drawing. Good idea, I suppose the banana plus are easy to ‘plug and unplug’. 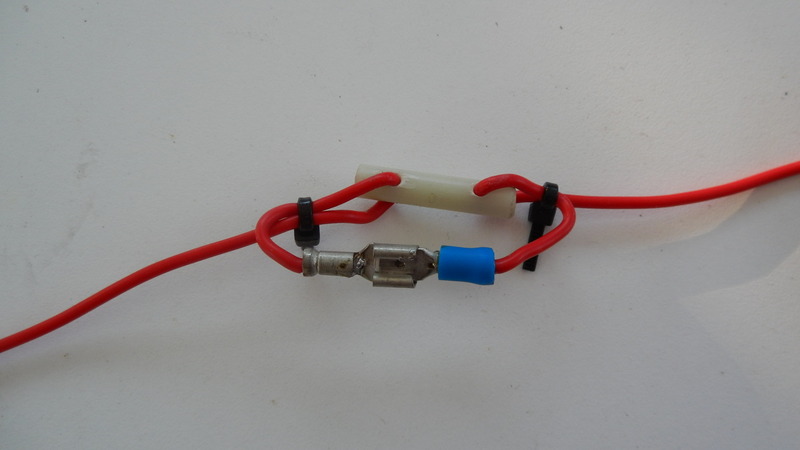 I like the auto spade connector positive ‘lock’ but yes they are a little fiddly. Good thought for others to try out.